PLEASE NOTE: These particular forks have some scratches and chips in the paintwork. . . Hence the bargain price! Although this affects the product aesthetically, it does not affect the performance or structural integrity of the forks. Can I use this for a 25 year old steel Dawes Meansteet hybrid? The hybrid has 700c wheels, cantilever brakes, and a quill headset and the framesize is around 20". Not sure what other measurements are needed to determine the right fork size. 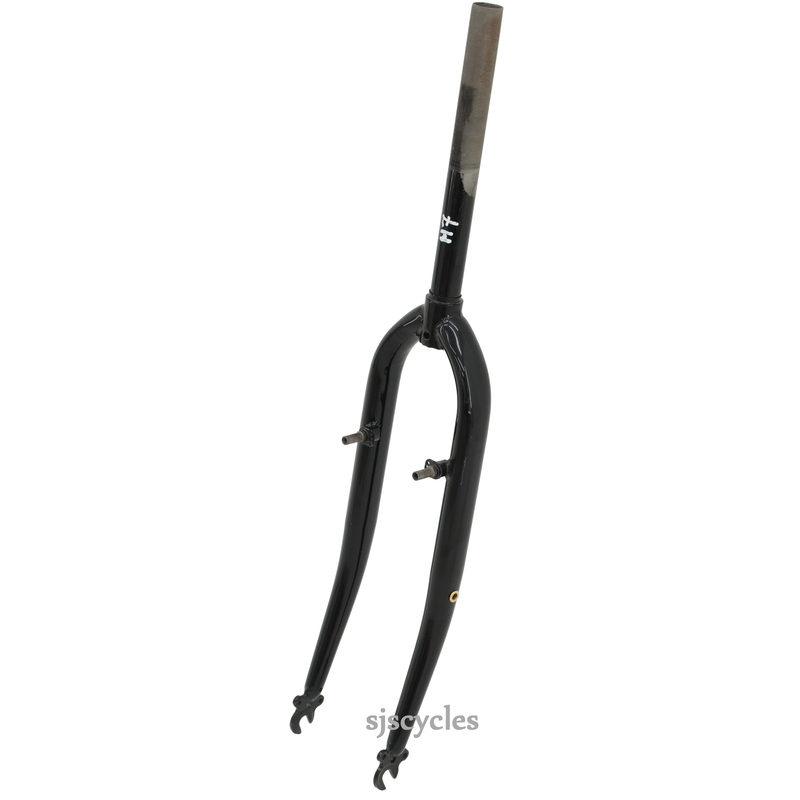 As the fork is for a threaded headset you will need to make sure the steerer tube length in suitable, we would recommend that a local bike shop may be helpful with this. Can They Be Fitted And What Reach Range Is Appropriate For A 700C Wheel with these? Replacing Forks That Did Not Have Brake Bosses. These forks are unfortunately not suitable for use with caliper brakes. They can only be used with V-brakes of Cantilever brakes that fit to the double bosses either side. Sealed bearings are the best option for bearings, but the main thing that matters is what stack-height you require and this is affected by the length of your frames head tube. These are a basic set of replacement forks that have not been rated for use on a tandem so we cannot recommend them for this use I'm afraid. To use these forks with their steerer at full length you'd need to fit 31mm of spacers when using your old headset. This would of course change the position massively. What we'd actually recommend is that as there is plenty of thread on this fork that you cut them down to a more suitable height to suit your frame and headset better. These are a basic set of forks that are made from Cromoly.